Michael Chabon’s Telegraph Avenue: Can a white guy write about black characters? Can a White Author Write Black Characters? Michael Chabon says yes. And he’s right. This shouldn’t be controversial. 40 Acres & A Mule Filmworks/Universal Pictures. For all his skills as a novelist, Chabon’s whiteness must be reckoned as a disability when it comes to writing about race, an asterisk next to his name. Either he’s crazy for wanting to “go there,” or, like a toddler learning how to walk, he is to be applauded just for getting in a few good steps before the inevitable stumble. In an otherwise positive review, Michiko Kakutani of the New York Times notes that Chabon is trying too hard “to sound like he was from the ’hood.” Slate’s own Troy Patterson gently chides Chabon for simplifying race, not because of his whiteness per se, but because of his naive and overly idealistic Berkeley-ness, which really just calling out one particular brand of whiteness. Both of those comments were from critics of color. As for Chabon’s white reviewers, they seem nervous about being white people reviewing a book about race, and channel that anxiety into being nervous on Chabon’s behalf. In questioning whether or not a white author is capable of writing a book about race, Los Angeles Times reviewer Carolyn Kellogg actually lets her racial insecurity undercut her own review, qualifying her criticism to say that, “As a white book reviewer, I don’t feel qualified to say he gets it documentarily right …” (So why is she reviewing the book?) Todd VanDerWerff of the Onion’s AV Club goes even further, telling us that, because of the book’s racial element, it “might be Chabon’s riskiest novel yet, as he remains very much a white male author.” Riskiest novel yet? Chabon’s last novel, The Yiddish Policeman’s Union, wrestled with an alternate “what if” history of the Holocaust. This one’s about two guys who own a record store. “White person tackles race” shouldn’t have to be such a big deal. From Herman Melville to Harriet Beecher Stowe to Mark Twain to William Faulkner to Harper Lee, the grand American narrative of race was always tackled by white writers, writers who created and inhabited black characters as they would any other. Together with black authors who would finally be given a platform in the 20th Century, like Ralph Ellison and Zora Neale Hurston and Richard Wright, white novelists addressed the issue head on, thoughtfully and meaningfully, thereby leading to a deeper and richer understanding of the country we live in. But all of that changed, as critic Stanley Crouch noted in his 2004 essay “Segregated Fiction Blues,” in 1967, with the backlash to the publication of William Styron’s The Confessions of Nat Turner. Written by the lily-white Styron but told from the point of view of Turner, the insurrectionist leader of a slave revolt, Confessions was a well-intentioned gambit to join the canon of Great Books About Race. But it had the severe misfortune to be published right at the ascendancy of the Black Power movement. Alongside a philosophy of militant political and socioeconomic solidarity, Black Power asserted itself on the cultural front as well. The movement demanded ownership of its turf: black studies, black history, black theater, black art, and black fiction. It was a natural and understandable response to centuries in which black voices had been wholly excluded from the cultural dialogue, in which the story of race was reduced to minstrel shows and white-supremacist propaganda like D.W. Griffith’s The Birth of a Nation. By telling the story of Nat Turner, by assuming to understand the mind of the rebellious slave, Styron had ventured onto the wrong side of the literary tracks. His critics banded together to publish William Styron’s Nat Turner: Ten Black Writers Respond, denouncing the author as a white liberal interloper, a cultural carpetbagger. The impact of the controversy, Crouch argues, was that white writers “opted for folding instead of holding, convinced that the challenge of writing across the color line was too big a risk to their careers and their reputations.” The idea of cultural ownership took root, mutually agreed upon by both sides. And the results, Crouch adds, “have been both dull and dismal.” All the potential William Faulkners and Harper Lees stayed home, playing it safe. Chabon is right. Artistically, there can be no limits imposed, or even encouraged, in what subjects storytellers choose to approach. Pushing back against the white male cultural hegemony is both necessary and worthwhile; flip through the newspaper or the nightly TV listings and you’ll find too many middle-aged white guys talking about things that are only important to middle-aged white guys. But while it’s good to expand the bookshelf to include a wider range of storytellers, the pushback of cultural ownership went too far. If you convince white people that they’re not qualified to tackle race, if you scare them away from the issue, if you give them the slightest excuse to ignore it, they will be more than happy to ignore it. For as long as you’ll let them. Throughout the ’70s and ’80s, white writers willing to step up to the color line nearly vanished from existence. It wasn’t until 1987, a full 20 years after Styron, that Tom Wolfe tackled race and racism as part of his broader satirical take on Manhattan’s elite in The Bonfire of the Vanities. And it was only in 1992, in the genre of crime fiction, that white writers really found their way back to the subject. Richard Price went there first with Clockers. Price, a product of New York’s white-ethnic working class, immersed himself in the world of a poor, black, drug-ravaged housing project, producing a groundbreaking novel that Spike Lee would later adapt for film. At the time, Price’s only company was Washington, D.C.’s George Pelecanos, a middle-aged Greek guy who launched a successful series of detective novels that mined the underworld of the Chocolate City. Pelecanos, whose father owned a diner downtown, never joined the actual white flight to suburbia, and so saw no reason to join the literary one either. Racial tension in D.C. was his daily reality, and it never occurred to him that he couldn’t, or shouldn’t, write about it. (Both Price and Pelecanos would both go on to write for David Simon’s The Wire, often hailed as the greatest White Person Tackles Black Experience work of our time.) 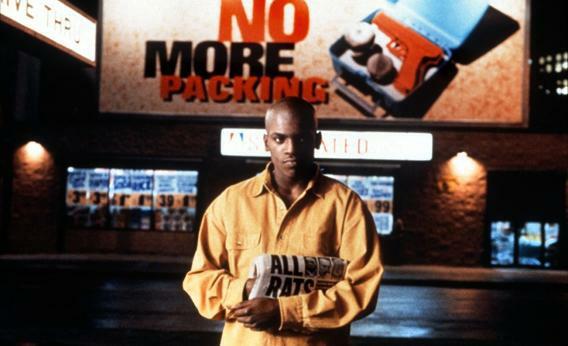 It took eight years after Clockers for Philip Roth to come out with The Human Stain, which was itself a scathing critique of the political correctness that had divided the fiction world in the years before. But things are (possibly) starting to change. Chabon’s Telegraph Avenue appears to be the culmination of something that’s been going on for the past few years: the thawing of cultural ownership. If this is not yet a full-fledged movement, it is certainly a pivot. White writers are returning to the subject of race, and they are driven not by some ham-fisted, white-guilt social consciousness, as William Styron was, but from the realization that the story of race is their story, too. They’re not cultural carpetbaggers—they’re taking a long look in the mirror and assessing the impact of race and racism on themselves. In 2005, Kansas City novelist Whitney Terrell published The King of Kings County, a fictionalized chronicle of the lives and families of the Kansas City real estate barons who made millions off of segregated housing under Jim Crow, a subject he was drawn to explore after learning that one of those families was his own. His uncle by marriage was heir to the largest real estate fortune in the city, a fortune built largely through the use of discriminatory housing covenants. The source of the money, in polite WASPy fashion, had never been discussed. Terrell elected to discuss it, and a great novel soon followed. Similarly, Kathryn Stockett’s The Help—the book, not the terrible, terrible movie—was driven by the author’s personal curiosity about the intimate and emotionally fraught relationships between white families and the black women who hold such an intimate and complicated place in their lives.